Honk. 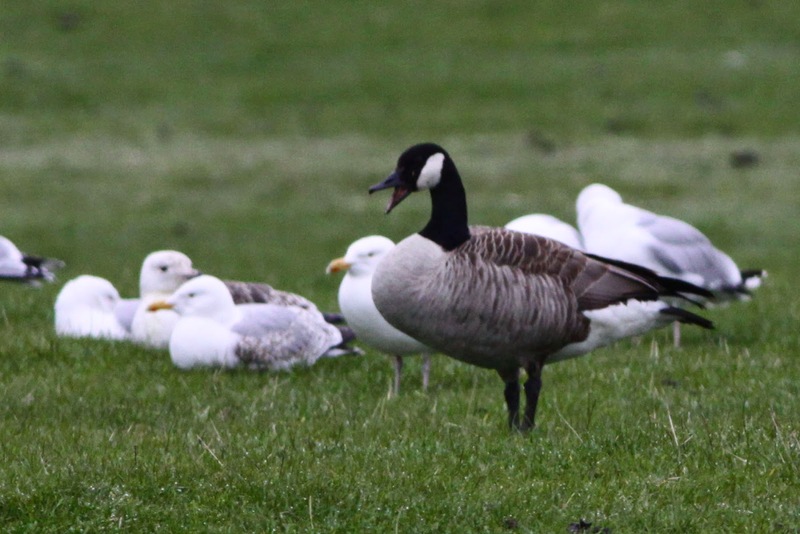 The first Canada Goose on Fair Isle since 2011 was presumably an overshoot from the UK rather than North America. No doubting the star bird of the period, with the Canada Goose (21st) just pipped by the Calandra Lark discovered on the lower slopes of Ward Hill on 22nd. A rather blowy day in North (with the wind from the north making things somewhat cooler and leaving the Wardening team perhaps not too optimistic) was brought to life in spectacular style when one of these large larks flew past myself and David Steel (from the Farne Islands and off the telly). Scarcely able to believe what we’d seen, we were left with no choice when it walked out from behind a tuft of heather and paraded its excessive bill and black breast patches. BirdGuides had to break out the red exclamation marks for the fourth time for Fair Isle this spring and all the birders on the island were able to enjoy the island's fifth Calandra Lark (although spare a thought for the poor Shetland birder who made at least his third trip to Fair Isle for the species and managed to see the people watching the bird, but not the bird itself, which sloped away as he made his way up Ward Hill and was last seen five minutes before he arrived as he wasn't quite quick enough with his Lark ascending). The only photos taken of the Calandra were when the bird was sat hunched up and hiding the distinctive black breast patches, although the large size and chunky bill are still obvious. Photo: Ciaran Hatsell. 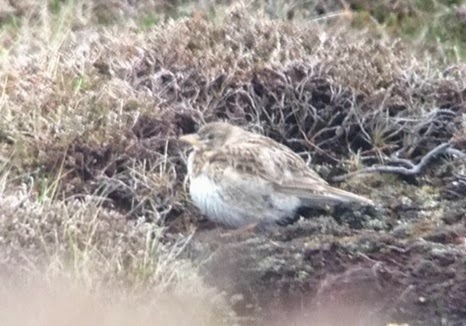 The Caspian Stonechat remained throughout (having made its way back to Upper Leogh), the male Western Subalpine Warbler remained at Burkle to 21st at least, the female Western Subalpine Warbler was still present at the Obs, there were Bluethroats at the Mast (22nd-23rd, found by Lark twitchers from down the island!) 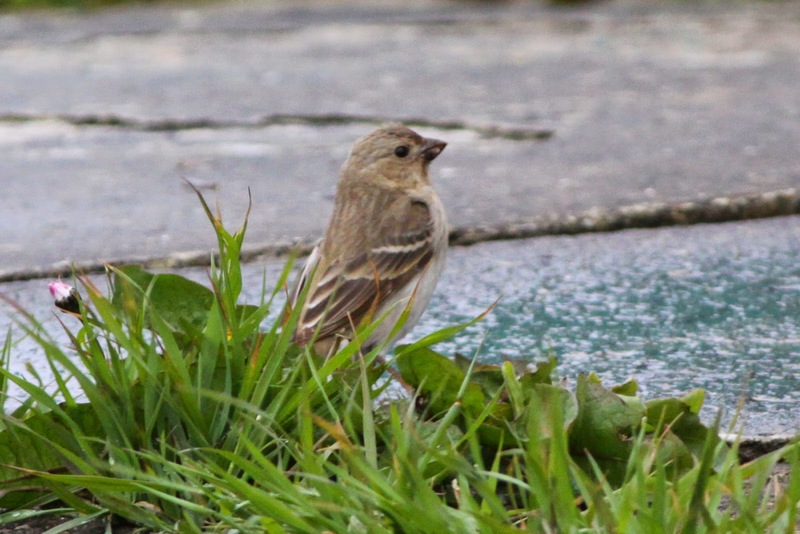 and at Shirva (21st-24th), a Common Rosefinch appeared at the Obs on 21st then roamed the island for a couple of days before returning to the Obs until the 24th at least (it was a singing first-summer male, missing its tertials on the left wing) and the Kumlien’s Gull was still in the South Harbour area until 24thm although it was looking increasingly unhappy with the world. The Common Rosefinch's most regular song is what appears to be a good copy of a Willow Warbler! 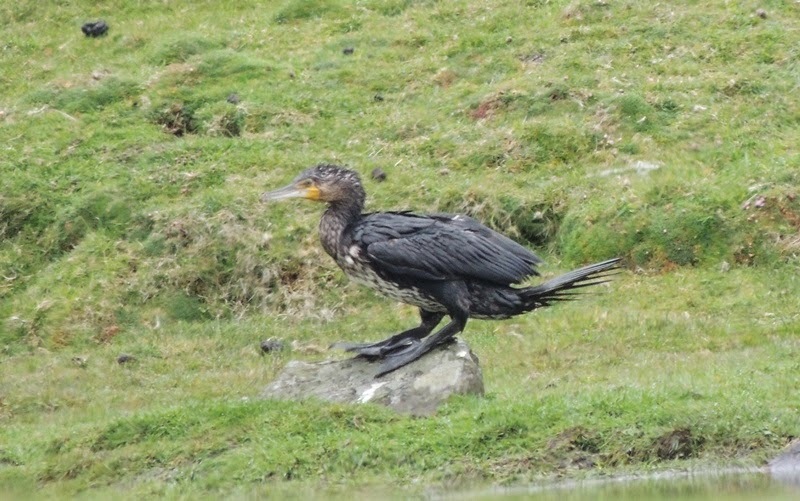 In Fair Isle terms though, none of the species above were as rare as the Cormorant at Easter Lother on 24th, which photographs proved was a sinensis ‘Continental’ Cormorant, the first record of this subspecies for Fair Isle. Most Cormorants on Fair Isle are only seen in flight, making the subspecific identification virtually impossible. So far, all the birds I've been able to check have been nominate carbo, but Ciaran got lucky with this immature on Easter Lother Water (perhaps the freshwater location was a pointer towards the identification as well?). Sinensis Cormorants are a scarce spring migrant in Shetland, but increasing numbers are being observered as a few birders take the time to check Cormorants more diligently (which is presumably also the best bet for Double-crested Cormorant to be detected making its long awaited reappearance in the UK). Photo: Ciaran Hatsell. 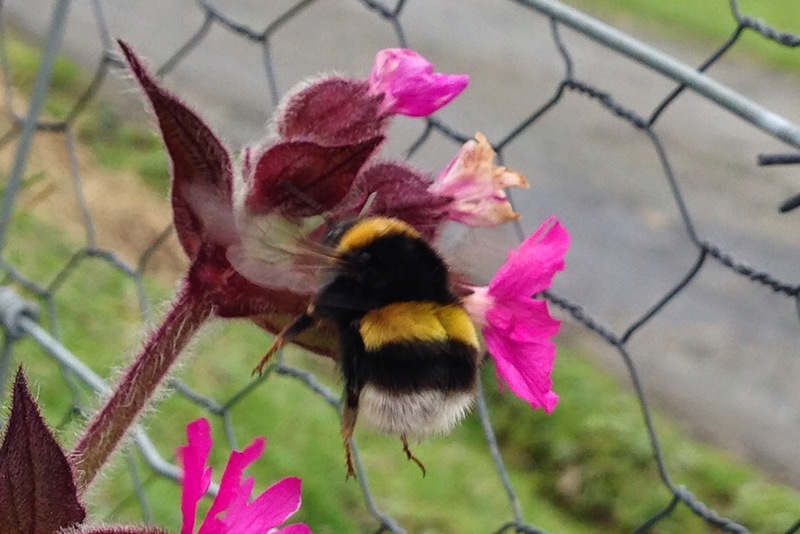 The Bumblebee in the Obs garden. Its tail certainly looks white, but bees aren't necessarily that simple. Any thoughts gratefully received. Photo: Ciaran Hatsell. Northerly spells gave way to easterly winds and fog during the period, eventually clearing slightly on the afternoon of 24th and there were still a reasonable number of interesting bits and bobs coming through, although being lost in the fog prevented more from finding us. Other new species for the year included Swift (four on the 21st with smaller numbers after), Shoveler (a male from 23rd) and Storm Petrel (two seen from the Good Shepherd on 24th), with other scarcer migrants including Wood Sandpiper (20th), Lesser Redpoll (23rd and 24th, amongst a small turnover of Mealy Redpolls, which saw a peak of 11) and Cuckoo (20th). Numbers of commoner species were generally unremarkable, with a few hirundines including peaks of 4 Sand Martin, 27 Swallows and 11 House Martins, a slight increase in warblers on 24th brought 9 Willow Warbler, Garden Warbler and 2 Lesser Whitethroat along with Pied Flycatcher (one was also seen on 22nd), Brambling, and peaks of 2 Black Redstart, 8 Spotted Flycatcher and 3 Snow Bunting. 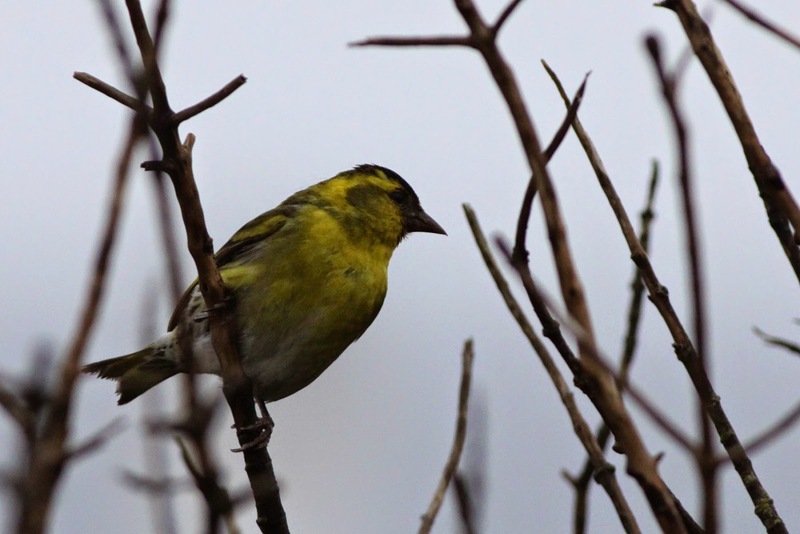 Siskins have been on the move in small numbers amongst a trickle of northern finches. A late Pink-footed Goose was present from 22nd, whilst a slight rise in waders included peaks of 56 Dunlin, 5 Sanderling, 24 Purple Sandpiper, 11 Whimbrel and a Common Sandpiper, although these were put into the shade by a remarkable passage of Ringed Plovers which saw numbers peak at 103 on 24th.